Phaup worked at the U.S. Congressional Office for 30 years where he specialized in budget concepts and budgetary accounting. His professional objective has been to develop and retain practices that would improve the match between budget and economic costs, especially for complex transactions including credit, insurance, lease-purchases, deferred compensation, and implied guarantees. He contributed to the development of the Federal Credit Reform Act of 1990, which changed the budgetary accounting of federal direct and guaranteed loans from cash-basis to accrual. He wrote several Congressional Budget Office reports about the inadequacies of current budgeting for government-sponsored enterprises, including Fannie Mae and Freddie Mac, and the Pension Benefit Guaranty Corporation. Phaup also served as Director, Federal Budget Reform Initiative, The Pew Charitable Trusts from July 2009 to December 2010. Could Reducing Tax Expenditures Tame the Federal Debt? "Does Congress Have the Will to Tackle the Debt?," Marvin M. Phaup, Roll Call, March 9, 2010. "Future Bailouts of America," Marvin M. Phaup, Interview with Gretchen Morgenson, New York Times, February 13, 2010. "Happy Fiscal New Year!," Marvin M. Phaup, McClatchy Newspapers (e.g. Sacramento Bee, Juneau Empire), September 30, 2009. "Fair Market Values and the Budgetary Treatment of Federal Credit: Comment on the CBPP’s Release on H.R. 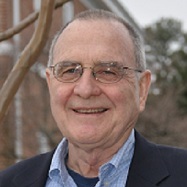 3581," Marvin M. Phaup, The Trachtenberg School of Public Policy and Public Administration Blog, February 2012. "Alternative Measures of U.S. Fiscal Deficits" (with Zhuojun Xu). Journal of Washington Institute of China Studies 5, no. 3 (Spring 2011): 88-96. Shows that the most widely-used measure of federal indebtedness, debt held by the public, grossly understates the effective liabilities of the U.S. government. "Federal Use of Implied Guarantees: Some Preliminary Lessons from the Current Financial Distress" Public Administration Review (July/August 2009): 651-659. Finds that the designation of many financial firms as “systemically important,” effectively increases the number of government-sponsored enterprises. "(Not) Budgeting for Emergencies," (with Len Burman), Western Economic Association International, June 30, 2012. Shows that current budget treatment of spending for emergencies undermines current efforts at fiscal discipline. Finds that the state and local practice of using budget reserve funds (“rainy day funds”) could improve fiscal and economic outcomes. "Federal Budgeting in the United States" (with Charlotte Kirschner), in Comparative Public Budgeting: A Global Perspective, edited by Charles Menifield (Jones and Bartlett Learning, 2010), 329-349. Demonstrates significant weakness of the U.S. budget as a means of promoting economic stability, economic efficiency and equity. "The Cost of Risk to the Government and Its Implications for Federal Budgeting" (with Deborah Lucas), in Measuring and Managing Federal Financial Risk: NBER Conference Report, edited by D. Lucas (University of Chicago Press, 2010), 29-54. Assesses the budgetary and policy consequences of the U.S. practice of ignoring market risk in the measurement of budget cost. "Budgeting for Disasters: Focusing on the Good Times" (with Charlotte Kirschner). Organization for Economic Co-operation and Development’s Journal on Budgeting 1 (2010): 21-44. Finds that budgeting for emergency events, ex ante, has economic and political advantages over deferring recognition of costs of uncertain events until after occurrence. "Assessing the Public Costs and Benefits of Fannie Mae and Freddie Mac," Congressional Budget Office Study, May 1996. Estimates the total subsidy provided to these government- sponsored enterprises and its distribution between the enterprises and the rest of the world, including home buyers.